Mon - Sat 8:00 a.m. 5:00 p.m.
©2019 Bombardier Recreational Products Inc. (BRP). All rights reserved. ®, ™ and the BRP logo are trademarks of BRP or its affiliates. In the U.S.A., products are distributed by BRP US Inc. Offers valid in U.S.A. oselect market only from April 1, 2019 to April 30, 2019. The terms and conditions may vary depending on your state and these offers are subject to termination or change at any time without notice. See an authorized BRP dealer for details. † REBATE UP TO $3,000 ON SELECT 2018 MODELS : Eligible units are select new and unused 2018 Can-Am ATVs and Can-Am side-by-side vehicles. The buyer of an eligible 2018 model will receive up to $3,000 rebate. Rebate amount depends on the model purchased. While quantities last. †† Get UP TO $3,000 REBATE ON 2018 MAVERICK X3 TURBO MODELS : Eligible units are select new and unused 2018 Can-Am Maverick X3 Turbo models. The buyer of an eligible 2018 model will receive up to $3,000 rebate. Rebate amount depends on the model purchased. While quantities last. BRP reserves the right, at any time, to discontinue or change specifications, prices, designs, features, models or equipment without incurring obligation. Some models depicted may include optional equipment. 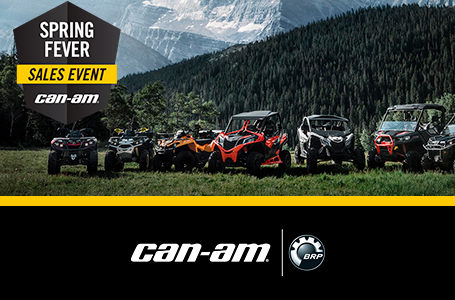 CAN-AM OFF-ROAD VEHICLE: BRP highly recommends that all ATV drivers take a training course. For safety and training information, see your dealer or call the ATV Safety Institute at 1-800-887-2887. ATVs can be hazardous to operate. Never carry passengers on any ATV not specifically designed by the manufacturer for such use. 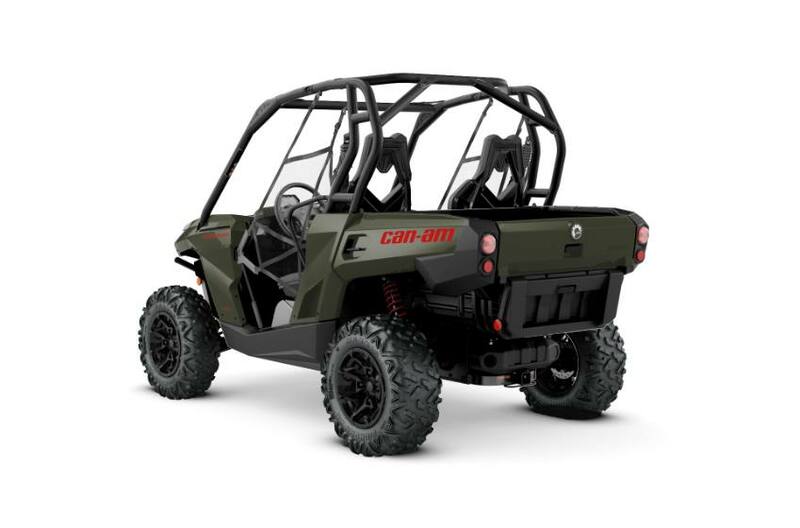 All adult model Can-Am ATVs are Category G ATVs (General Use Models) intended for recreational and/or utility use by an operator age 16 or older. For side-by-side vehicles (SSV): Carefully read the vehicle’s operator’s guide. Follow all instructional and safety material and observe applicable laws and regulations. ATVs and SSV are for off-road use only; never ride on paved surfaces or public roads. For your safety reason, the operator and passenger must wear a helmet, eye protection and other protective clothing. Always remember that riding and alcohol/drugs don’t mix. Never engage in stunt driving. Avoid excessive speed and be particularly careful on difficult terrain. Always ride responsibly and safely. BRP reserves the right, at any time, to discontinue or change specifications, price, design, features, models or equipment without incurring any obligation. Some models depicted may include optional equipment. BRP highly recommends that all ATV drivers take a training course. For safety and training information, see your dealer or call the ATV Safety Institute at 1 (800) 887-2887. ATVs can be hazardous to operate. For your safety: always wear a helmet, eye protection, and other protective clothing. Always remember that riding and alcohol/drugs don’t mix. Never ride on paved surfaces or public roads. Never carry passengers on any ATV not specifically designed by the manufacturer for such use. Never engage in stunt driving. Avoid excessive speeds and be particularly careful on difficult terrain. 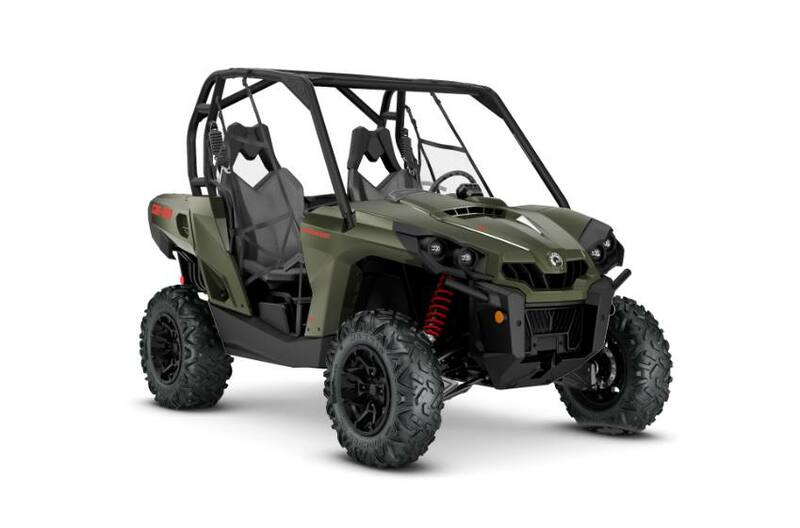 All Can-Am ATV adult models are Category G ATVs (General Use Models) intended for recreational and/or utility use by an operator age 16 or older. ATVs with engine sizes of greater than 90 cc are recommended for use only by those age 16 and older, except for those designated as T14. BRP urges you to “TREAD LIGHTLY” on public and private lands. Preserve your future riding opportunities by showing respect for the environment, local laws and the rights of others when you ride. Make sure that all laws, regulations, and BRP’s warnings/recommendations for ATV passengers are respected. Ride responsibly. 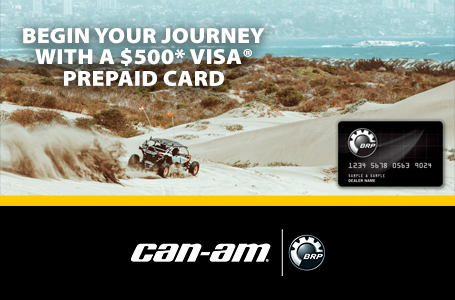 by mail-in or online rebate on qualifying purchases of $500 or more when you use your BRP Card through July 4th, 2019..